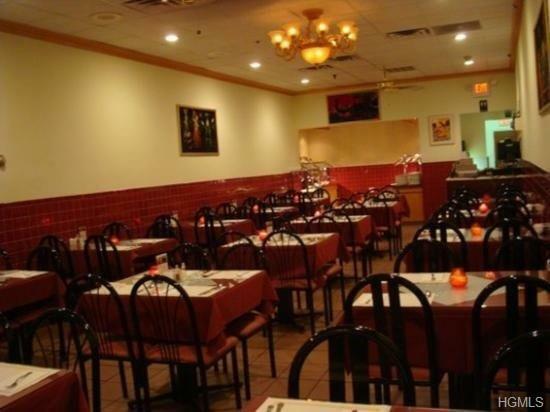 Fantastic opportunity to own a well established restaurant for 33years in the heart of Suffern. A great spot for excellent fine dining with drinks. Seating capacity of 100 people. The lease includes all furniture's and restaurant equipment's. This is a lease opportunity only with purchase of existing business. The business is offered for sale for $80,000 including everything in the business. The restaurant has an existing liquor license and bar. The current owner is finally retiring after successfully running the restaurant for 33 years.. The current lease ends in 2022 and can be renewed for another 10 yrs. Very low rent compared to other places in down town Suffern. Several nearby luxury condominiums brings continuous flow of business. Listing courtesy of Linu Abraham of Abraham Properties Ny Inc.